Is PETG Filament Overtaking PLA? PLA filament has been the most common 3D printing filament, especially in desktop 3D printing in home and educational environments. The reasons are that it’s pretty easy to print, the temperature required to print is pretty low, and most importantly there are no toxic fumes that are emitted. 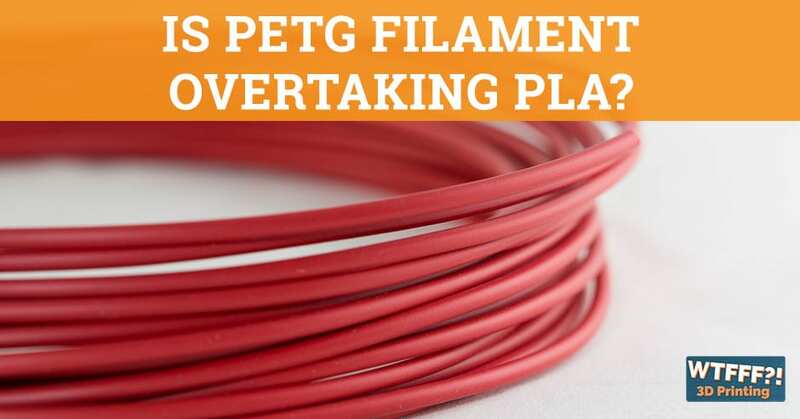 A material that’s been in development for a number of years and has now become a formidable contender is the PETG filament. It has all these wonderful colors and it’s got some great qualities in terms of translucency. The print characteristics and settings that you would use for it are very similar to PLA in pretty much all respects in terms of speeds and settings in your average 3D printer. 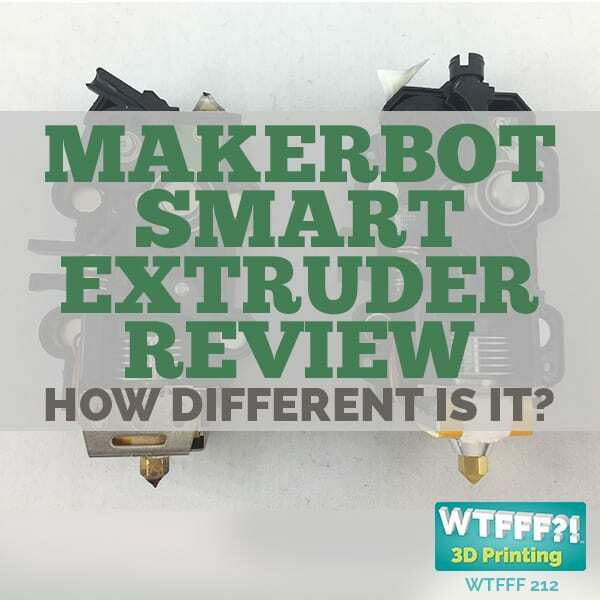 Delve deeper into PETG to know if it’s worth switching over and making that shift. I want to take a bit of a deeper dive into filament in terms of the resin, the kind of plastic that people are printing in their FFF 3D printers now. 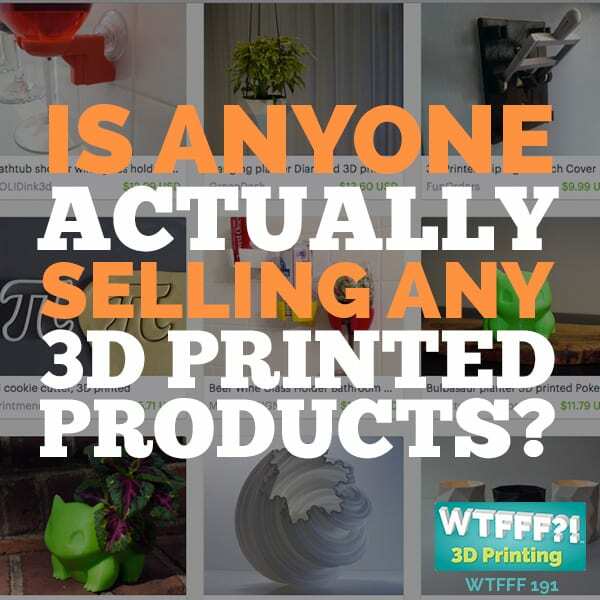 I’m seeing a shift and I’m wondering if the majority of everyone out there who have their own FFF 3D printers and are printing with filament, are experiencing the same shifts or if what you’re using is also shifting. 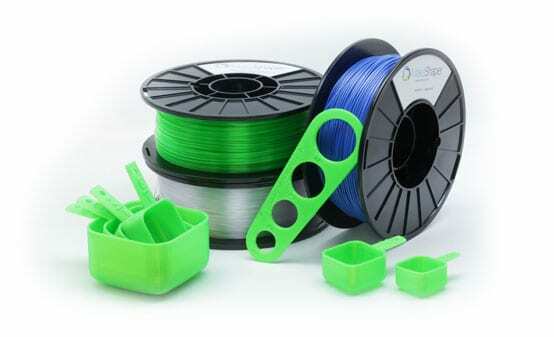 Obviously PLA filament is the material that has been the most common 3D printing filament, especially in desktop 3D printing and I would say even more so, especially in home and educational environments. 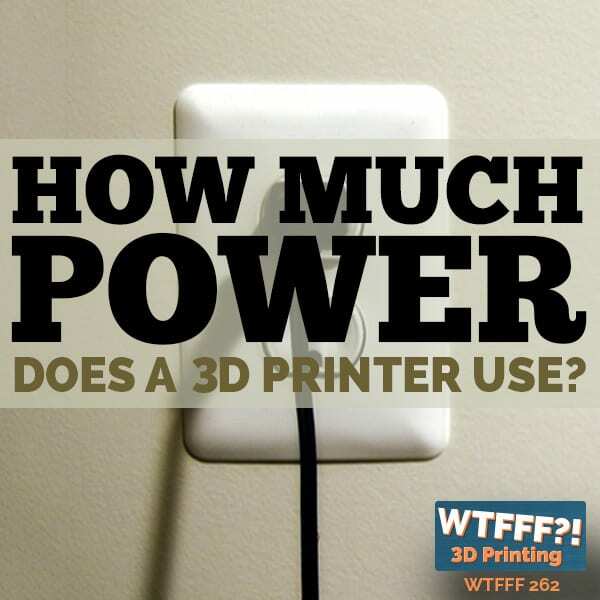 The reasons are that it’s pretty easy to print. The temperature required to print it is pretty low and most importantly because of the indoor air quality. When printing PLA filament, there are no toxic fumes emitted. I have my own 3D printers in my office environment twelve-feet away from me. I’m in this environment all the time and printing things very often. I certainly don’t want any toxic fumes and I’m not setup with any serious ventilation hoods that can pull out fumes. Even though I have printers that are capable of printing ABS filament, any filament that I want to even, I’ve tried nylon and other things, the reality is that, the fumes that are emitted by ABS are harmful. You have to have a proper work environment or printing environment to be able to handle those fumes and make sure that they don’t pollute your indoor air environment. That would not be good for you. Certainly, my kids are around my 3D printers all the time so a PLA filament has been the standard that we use. Although, I test a lot of filament and I have used other filaments, I just have to be very careful with how I do it. 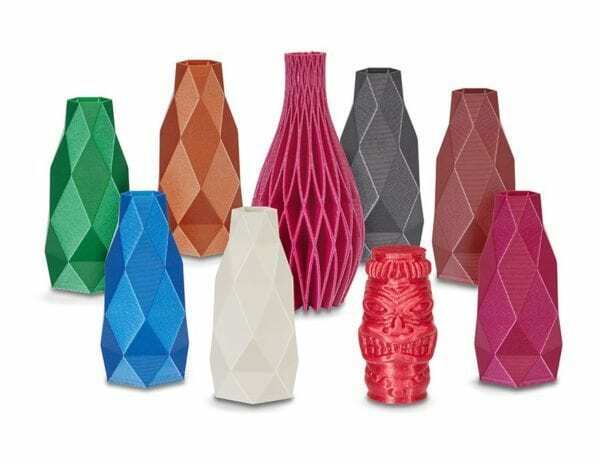 In general, I find that most people, especially printing in a home environment or desktop 3D printers literally at your desk in a work environment or in an educational environment have tended to prefer PLA. There’s always a lot of debate, ABS versus PLA, which should be used? I think that in those kinds of environments, PLA will win. The reality is for prototypes or samples or models, that’s fine. 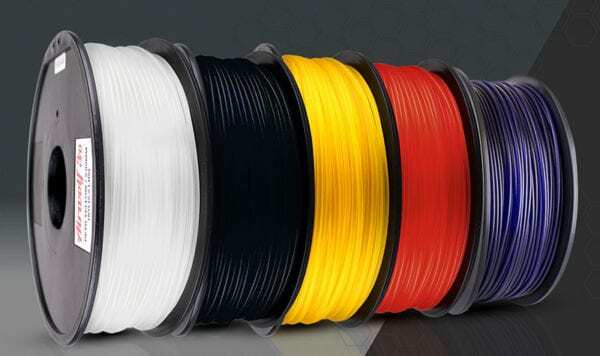 ABS filament is a much more practical material when you’re trying to replicate parts or make prototypes of parts that are actually going to become a part of products because the properties of ABS filament are very similar to a few injection molded ABS. ABS is an incredibly common plastic used in product manufacturer. Mostly it’s injection molded in production. It’s been great to have the ABS filament available. I know a lot of people like it because of a lot of its properties that are different from PLA.PLA really suffers for a lot of different properties of strength and durability and things like this, of parts that you may print at home or in your office. Nylon is an incredibly common material also used in manufacturing in injection molding and a number of different plastic manufacturing processes and it has great property. It’s also been great to have nylon filament. I think again, you have to be concerned about some of the air quality when you’re using that. PETG Filament: PETG, there’s an additive that goes into that, that is the G part of PETG that makes it print on an FFF 3D printer a whole lot better. Here’s the thing though, the material that’s entered the market in the last couple of years and is really coming on very strong right now is PETG. PET, for those of you who don’t know, it’s just different plastic resins were talking about. I’ll just explain PET for those of you that don’t know, is a very common plastic material. Most of us come in contact with it every single day when we drink a bottle of bottled water or drink a soda, a diet coke or coke or whatever it is that you prefer to drink. PET is the material that those were made of. It’s very clear and it injection molds and blow molds. I think mostly they’re blow molding those bottles. It works very well for that process. PETG, there’s an additive that goes into that, that is the G part of PETG that makes it print on an FFF 3D printer a whole lot better. It’s been in development for a number of years, but now it’s really come on as a formidable contender. I’m providing you information now, but I’m also asking you, I’m curious how many people are really out there switching over from PLA to PETG? Using PETG versus PLA or PETG versus ABS. There are different properties, but PETG as material has all these really wonderful colors. That’s part of why I like it as a designer because it is translucent. It’s got some great qualities in terms of translucency if you were going to make something that you might eliminate from behind it or want to get a certain light reflection off of a part. Also, just as in terms of a material, what I’ve found is that the, the print characteristics and settings that you would use for PETG are very similar to PLA in pretty much all respects in terms of speeds and settings in your average 3D printer. The two distinctions would be you need to heat up the material to a hotter temperature than PLA. Instead of nominally at 215 degrees Celsius temperature that you would use for printing PLA filament, when you’re going to print the filament, you need to increase the temperature of your hot end or your nozzle to about minimum of 240 degrees Celsius. 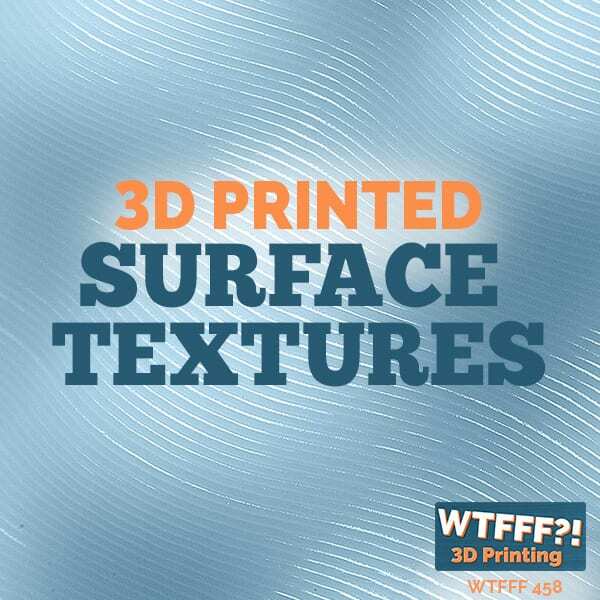 It has a print range from 240 to about 255, 260 degrees Celsius. Then if you have a heated bed, although I’ve experimented, not heating abed, you can do it. You probably end up needing to print more with a raft if you don’t have a heated bed so you can lay down a lot of material and get a good based for printing. If you don’t have a heated bed, you’re going to put that into 50 to 70 degrees Celsius range. I tend to put mine about 65 degrees Celsius and then it works really well for bed adhesion. Other than that, in terms of speed settings and everything, PLA versus PETG, really the settings are very similar. When it comes to your indoor air quality, PETG definitely emits much, much less toxic fumes than ABS as I’ve done a bit of research on this and certainly in printing it, I haven’t smelled a lot of irritation. The printer I’m printing it on actually is enclosed, although it’s not like a Hepa filter or anything. I haven’t noticed any problems. I do think though that it’s wise to be skeptical. It is still a plastic resin that’s petroleum based. I certainly would recommend if you’re in a home environment or closed indoor environment I would still recommend some kind of ventilation using PETG. It’s definitely not going to be the type of fumes that are giving you a headache like it will if you use ABS in a closed environment. I still think it’s not a good idea to be standing right over your printer and doing nothing but breathing in all the fumes that are coming up from it. Certainly, my experience has been even with some long prints, not really any irritation or noticing any smell from PETG. I feel really good about that, but certainly I’ve not done any long-term studies. Maybe for that reason alone, educational institutions may shy away from it and they may stick with PLA. Because why are you going to mess with something that you know PLA is safe in this regard and you certainly don’t want to be putting students in any potential harm’s way. Maybe it’s best just to stay away from it unless you have a well-ventilated area that you can use it in. If you do I’d say personally I’m enjoying working with PETG. I am still really curious, how many of you out there are switching over and are you seeing the market shift? Certainly, I’m seeing there’s a whole lot more PETG filament and a whole lot more colors that are available on the market, which is great. That’s something that I’ve always, I’d say complained about for years is that there’s not enough good color in the filament. Certainly PLA filaments are very mature. There are a lot of colors available. ABS is very mature and there may not be quite as many colors available, but still a good variety. I don’t find a lot available in nylon. I think that’s more of an engineering material in terms of nylon filament. If you need the properties for something that you’re printing to try it out or test it out because you know it’s going to be molded in nylon in the future, then you can use that material. At least you get those material properties. In terms of PETG, there are a lot of wonderful new colors. I’m so excited about it that I want to continue to use it and try it out and I’m wondering about the rest of you. PETG Filament: Sales and time will tell in terms of which material winds out. In terms of PETG versus PLA, I’m seeing PETG make run a PLA. I think in a lot of situations, maybe even making a run at ABS. I think sales and time will tell in terms of which material winds out, but I want to put it out there to all of you and just do an informal survey. If you are someone who’s printed with all these different materials or if you’re someone maybe who had only printed in PLA for all your experience until recently and you’re moving toward PETG filament, I would love to hear about it. If you could write in and leave a comment on 3DStartPoint.com for this episode and/or go on to Facebook or really anywhere at social media. Facebook is where we’re getting most of our engagement and spending the most time these days, @3DStartPoint and let us know. I’m really curious to see what you all think and what you’re experiencing. Any other thoughts that some of you have regarding ABS versus PETG or versus PLA and the same thing, PETG versus PLA, let’s talk about it. I just want to see if what I’m thinking and experiencing is the same as you. I’m going to have some photos on the blog post at 3DStartPoint.com of some different parts made with PETG.I think we’ve all seen lots of photos of things in PLA and ABS, especially because some of the colors and the translucency is a little different. Go there and at least you can see some photos if you’re curious or maybe haven’t seen a lot of items printed on it. Thanks very much. We’ll be back with another interview episode in our next episode. I look forward to talking to you then. This has been Tom on the WTFFF 3D Printing Podcast. Yes to some extent….I print in my basement/home office so no ABS…PETG has no bothersome odor and results in lovely prints. However, we’re now seeing “Advanced” PLAs that are stronger and more heat resistant than standard PLA…..I love printing with that as well. With PETG and “Advanced” PLAs I see no reason for people to use ABS in most circumstances. Thank you for your insights. Please share to our FB page some of what you have made. We would love to see. I have been using PETG more as a final product. I mainly use PLA for prototyping products, since it is easy to work with. Also it is hot in Phoenix, AZ, PLA will warp too easily. Where PETG will hold its shape even if it is left out side or in a car. 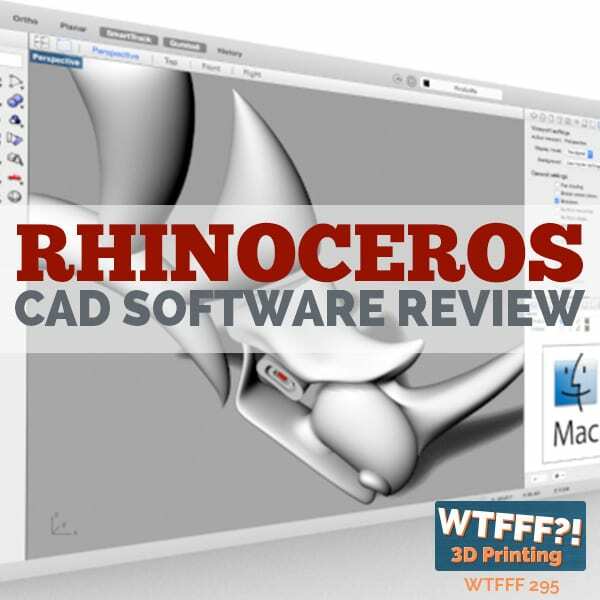 I am a completely new to FFF , 3d printing & thinking of buying a new 3D printer. The podcast helped me in zeroing in the materials I would use in 3d printing (PLA’s , PETG) & saved me a ton of time. Thanx a lot Tom & Tracy for this wonderful podcast. If my printer (Monoprice Voxel, aka Flashforge Adventurer 3) specifically states it can use PLA or ABS, can it also use PETG?